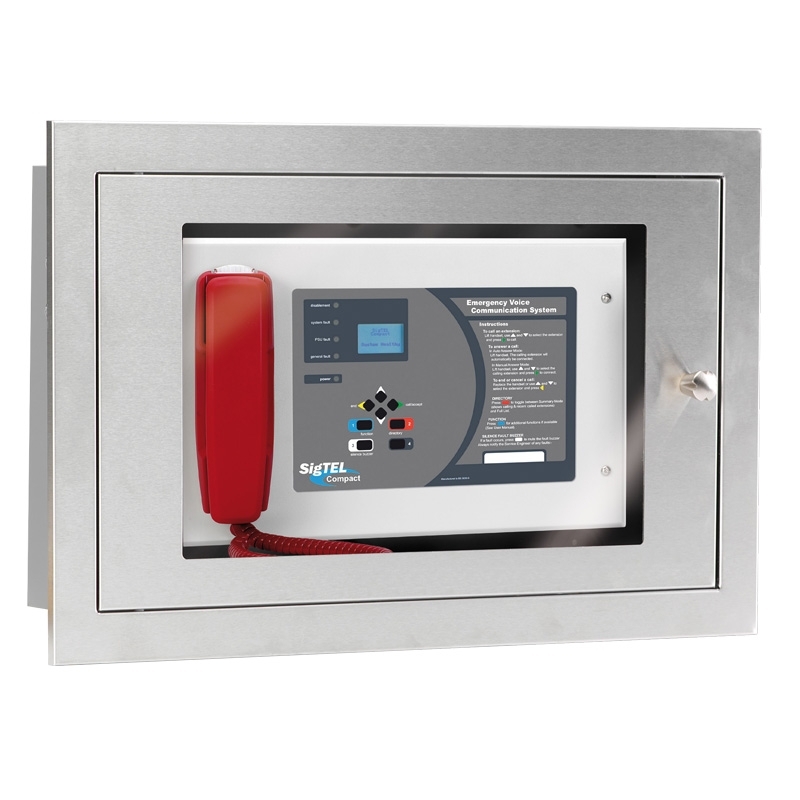 An attractive flush-mounting glazed stainless steel enclosure designed for use with SigTEL Master Controllers. 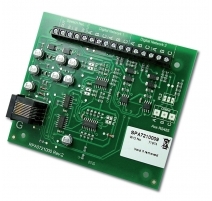 Compatible products include ECU-4 or ECU-8 Master Controllers. Optional BF359/3CL (Camlock kit) or BF359/3SL (Electromagnetic solenoid lock kit) also available. 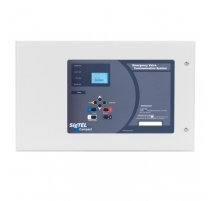 Helps protect SigTEL controllers from unauthorised access/tampering. High quality brushed stainless steel finish. 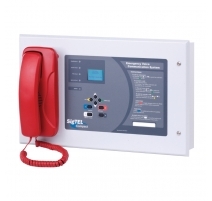 Picture shows a BF359/3D enclosure with a SigTEL 4 Line Controller. 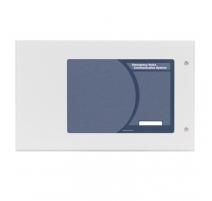 Compatibility Suitable for use with ECU-4 and ECU-8 SigTEL Controllers. Product dimensions (mm) 725 W x 448 H x 193 D mm (overall dimensions); 650 W x 370 H mm (back box); 725 H x 448 H x 10 D mm (bezel). 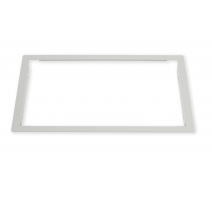 Flush mount depth for wall-mounting 183 mm.